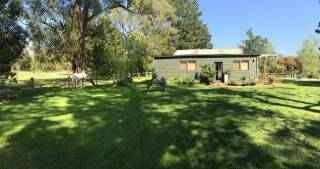 Only an hour drive from Melbourne the little house is perfectly positioned on top of the hill on a picturesque 20 acre property. 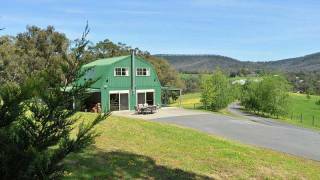 On offer are endless, ever changing views of the Yarra Valley. Set amongst beautiful, well maintained gardens, the little house is situated well back from the main house ensuring your total privacy. The little house is a tastefully renovated one bedroom cottage. A spacious living area, you will be able to relax in the light and bright surrounds, all of the windows offer panoramic views of the hills, paddocks, valleys or pretty garden. In the warmer months you can enjoy the decking area that over looks the cottage garden which then extends out over the valley views. When it cools off in the winter, arrive to a fully stocked wood fire. Facilities include; mini fridge, bbq facilities, complimentary tea and coffee, television with dvd, wood fireplace, air-conditioned, separate bathroom. 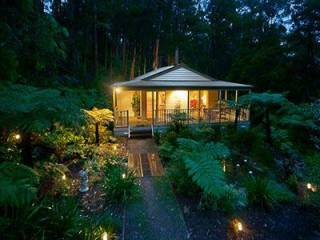 Enjoy a leisurely walk in the garden, take in the views of the Yarra Valley, watch the sunrise and sunset, star gaze in the evenings. You will feel as if you have escaped and you will have no alternative but to unwind. 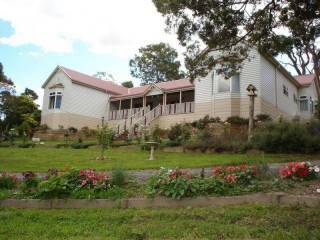 A 10 minute drive into Healesville and in close proximity to all on offer in the Valley, you will be spoilt for choice. 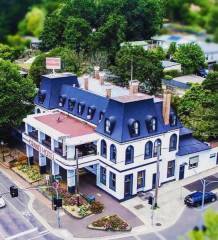 A cooked breakfast at one of the many cafes or restaurants, a picnic lunch at one of the parks or reserves , a gourmet dinner at a fine dining restaurant, this is all within a short drive from the property. The Yarra Valley has so much to offer, spend a week or spend a day. There is something for everyone from scenic tours, walking or cycling trails, art exhibitions, a visit to a winery..or two.